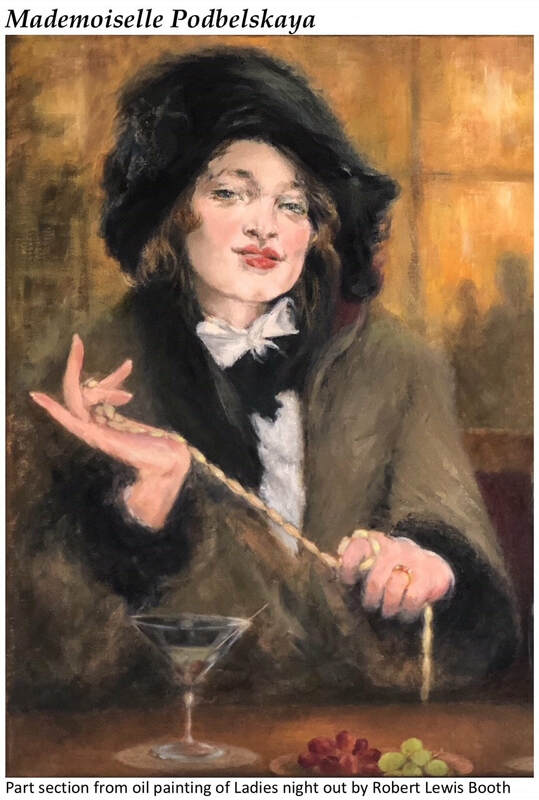 Nicolai Ivanovich Fechin Russian-American painter, Born: 26 Nov 1881, in Kazan, Russia. Died: 5 October 1955, Santa Monica, California, United States. I really like his paintings and technique, I decided to try and get some of his style by painting one of his lady portraits, I thought now which one would be good to start with? 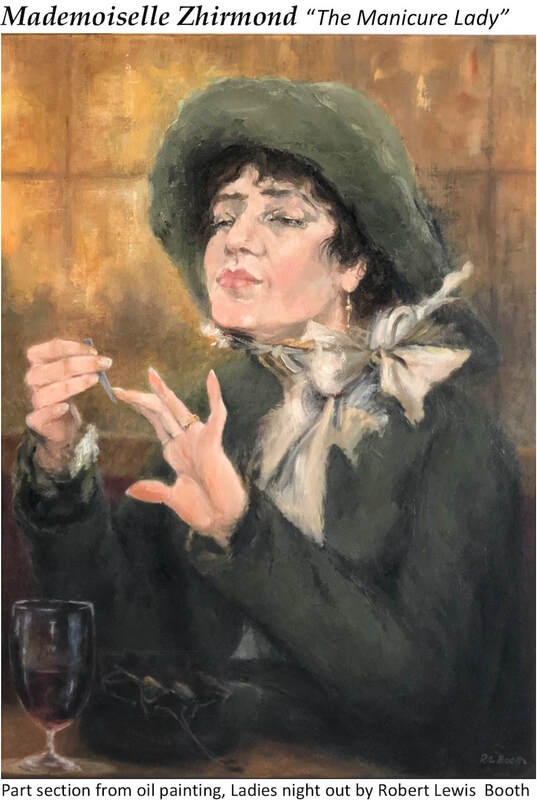 maybe the one of Mademoiselle Podbelskaya with the necklace and then again should it be the portrait of Mademoiselle Zhirmond “The Manicure Lady” undecided which one to paint? 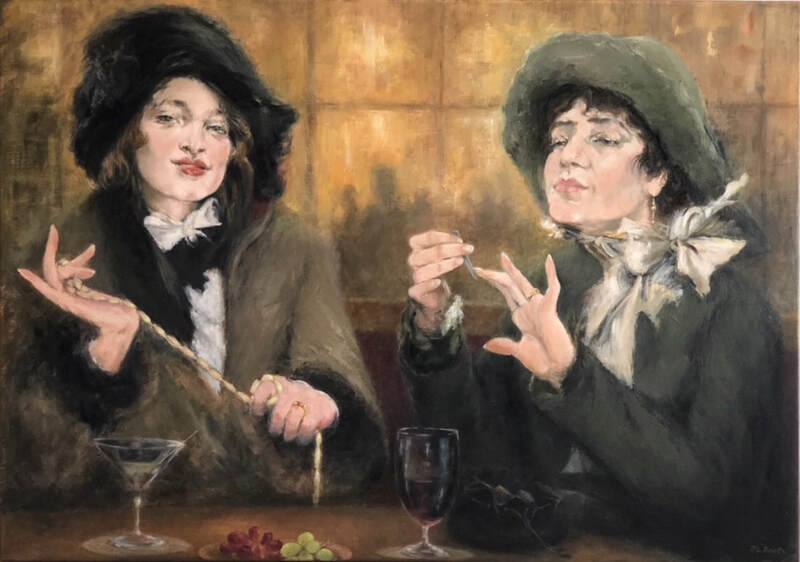 I just happened to have a spare canvas size 23.5”H x 33”W ~ (594 x 840mm) which would take both portraits if I set them in landscape mode then arrange the composition as if it were a ladies night out, ‘what a challenge’ and so I got started.